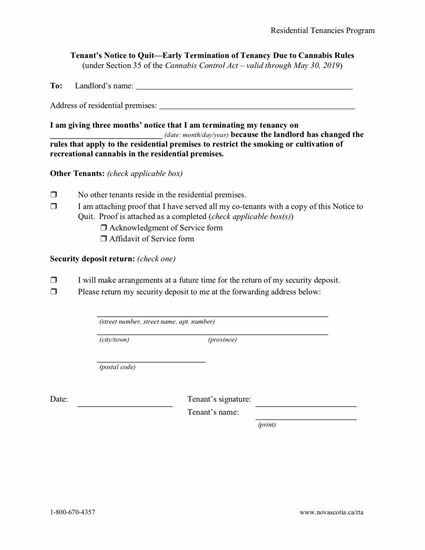 Tenants in Nova Scotia can use this form to give 3 months notice of early termination of their lease due to changes in the tenancy rules regarding smoking and cultivation of recreational cannabis. 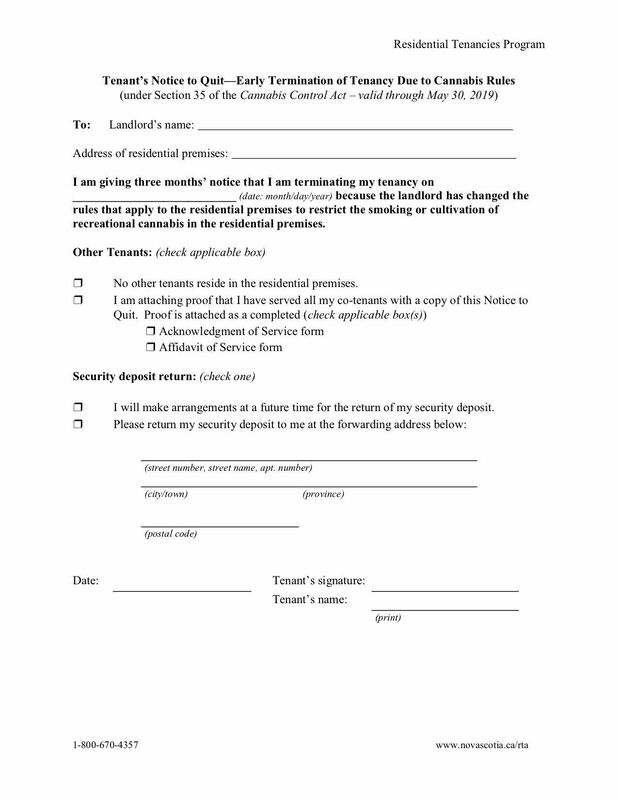 The Notice of Termination is given under section 35 of the Cannabis Control Act. This form of notice is only valid until May 30, 2019. 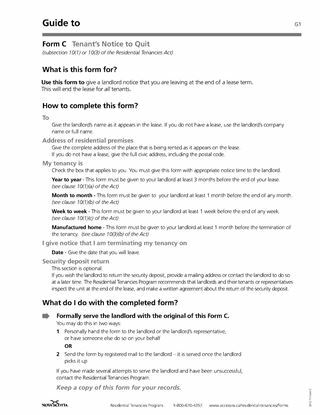 If there is more than one tenant in the rental property, the tenant giving notice must provide proof that they have served all of the other tenants with the Notice of Termination. An Acknowledgement of Service form and an Affidavit of Service are included, along with instructions. 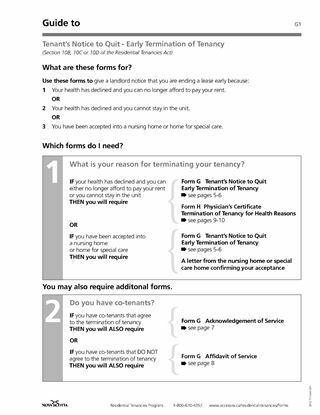 This is a free PDF form provided under the Nova Scotia Residential Tenancies Program.